Philly Cheesesteak with fries and slaw. GREAT CHOICE! I definitely recommend it, even for Philly natives 😉 On the right are banana chocolate shakes. SO GOOD, a lot of people’s favorites. 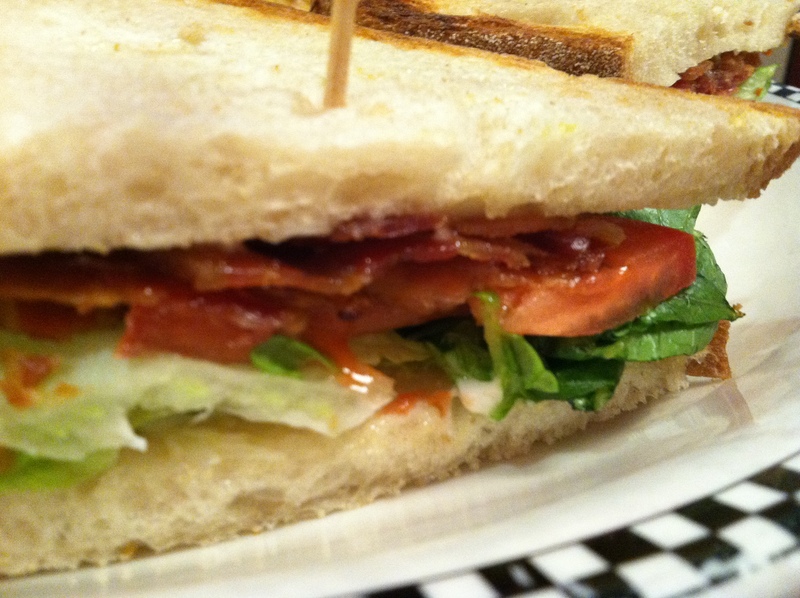 BLT– not that great. It was a bit salty and skimpy, I was disappointed, but maybe it’s because I wanted Shek’s cheesesteak….. and then on the right more shakes from another visit, hehehehe. I think I had gotten a strawberry this time. Top Hat burger with fries (bacon, lettuce, tomato, the works) and on the right a Reuben with fries and slaw. Another great one, actually both were great, burger and sandwich. Their slaw is pretty awesome, not drenched in mayo like most places.